The League of Extraordinary Bloggers is a project that Brian from Cool and Collected started about 2 months ago(for those of you who are not familiar with this, click here for the scoop). The topic this week is, as stated in this post’s title, Holy Grails and White Whales. While I could go on and on with stuff I would love to get, the idea is what would we most like to find, and be able to take home with us. There’s got to be something that has eluded you, that you think you may never get, or get the opportunity for a chance at. There are a few things that instantly came to mind. I collect video games, among other things, so that’s where we’ll start. What you see above is the very definition of Holy Grail, when it comes to the Nintendo Entertainment System. I have many fond memories attached to the NES, which is probably why I have so much interest in the system itself. I collect games for quite a few consoles, but I have more NES games than all of my other consoles combined(200+). If you are not familiar with the story behind these cartridges, I’ll give you a little history. In 1990, Nintendo held a video game championship across the country(not unlike the one in the movie The Wizard). There were competitions in cities across the nation, looking for the best Nintendo player in that city. Then the “best” players from each age group would play against each other in the finals of the tournament to determine the winner. I’m not sure just how these were distributed, but I do know that some went to the champions and finalists, and some were given away in a Nintendo Power contest. 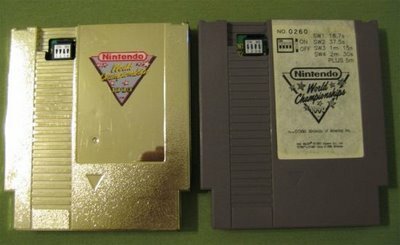 There are only 90 of the gray cartridges, and just 26 copies of the gold one. The games contained within are Super Mario Brothers(get 50 coins), Rad Racer(complete the first course), and Tetris(get the highest score you can). There is a dipswitch on the outside of the cart, that you can use to adjust the amount of time to play. Even though all the games are pretty common, the cartridges are not. This is something I’m pretty sure I will never own, but it’s nice to dream of finding it a at a garage sale or flea market. And there are a few toys that came to mind as well. Now, there are a lot(tons), of toys that I would love to add to my collection. There are plenty of lines that I collect, and others that I would like to collect. But there is one line that stands above the rest, and that’s Transformers. Or more specifically, Generation 1 Transformers. The first of the two? Transformers and I go way back. My brother and I received our first Transformers on the Christmas of 1984 or 1985. We got one each, and they were both Megatron. 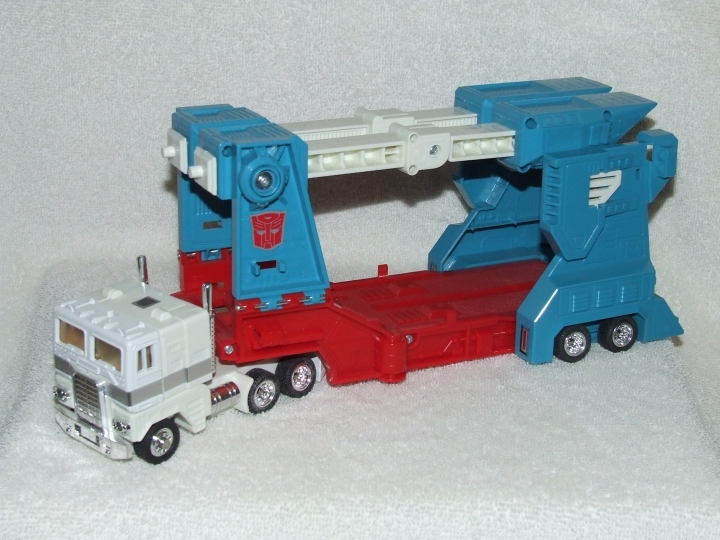 Megatron is high on my want list, but Ultra Magnus is just a little more important to me. You see, when I saw Transformers the Movie back in 1987, Ultra Magnus quickly became my new Favorite Transformer. My older brother ended up getting it for me, I believe, for my 9th birthday in 1988. For some reason I didn’t have it very long. My stepmother, took him away for some reason(probably jealous that my younger brother didn’t have one), and I never saw him again. I’m sure I probably cried my eyes out, because I really wanted that toy, and really loved it for the short time that I had it. So, maybe, finally getting him again may give me some closure. And the one I wanted, but never got. Soundwave, is perhaps the coolest looking Transformer in robot mode(and a little dated in alt mode). I knew a few kids who had this guy, and boy, did I want it! 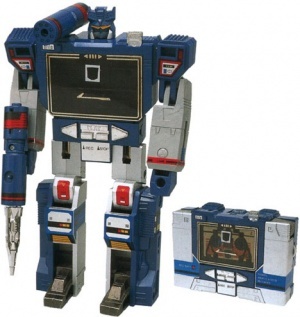 There were quite a few times I would pick out cassette 2-packs(for Soundwave or Blaster), when we would ask if we could get a toy(you know what I’m talking about). I have had a few chances to pick this guy up, but at the time(s), I just didn’t have the $40-$50 to spare. But that may all change when the toy show comes to town on April 22! Check out what has eluded Reis over at Lair of the Dork Horde. Brian talks about the item he would love to add to his ever-growing King Kong collection over at Cool and Collected. And Tim searches for “The Non-Existent” over at Flashlights are Something to Eat. This entry was posted on April 11, 2012 at 22:26 and is filed under Memories, Toys, Transformers, Video Games with tags 1984, 1985, 1987, Competition Cartridges, Cool and Collected, G1, Holy Grails, NES, Nintendo, Nintendo Entertainment System, Nintendo World Championships 1990, Soundwave, The League of Extraordinary Bloggers, Transformers, Transformers The Movie, Ultra Magnus, Video Games, White Whales. You can follow any responses to this entry through the RSS 2.0 feed. You can leave a response, or trackback from your own site. Some very cool holy grails Jason. Great read J!Those G1 TF’s are great but so hard to find for a decent price!Good luck at the toy show ! Awesome, thanks for sharing! Totally forgot about that Soundwave dood. Man, what an icon of the ’80s. I would totally rock that! Good luck on your quest! I must be a pretty huge nerd when I can tell you whose collections the NWCs are from by the small ding on the gold and No.205 on the right. Pat Contri is the ultimate NES collector.